Blood cells and bacteria. 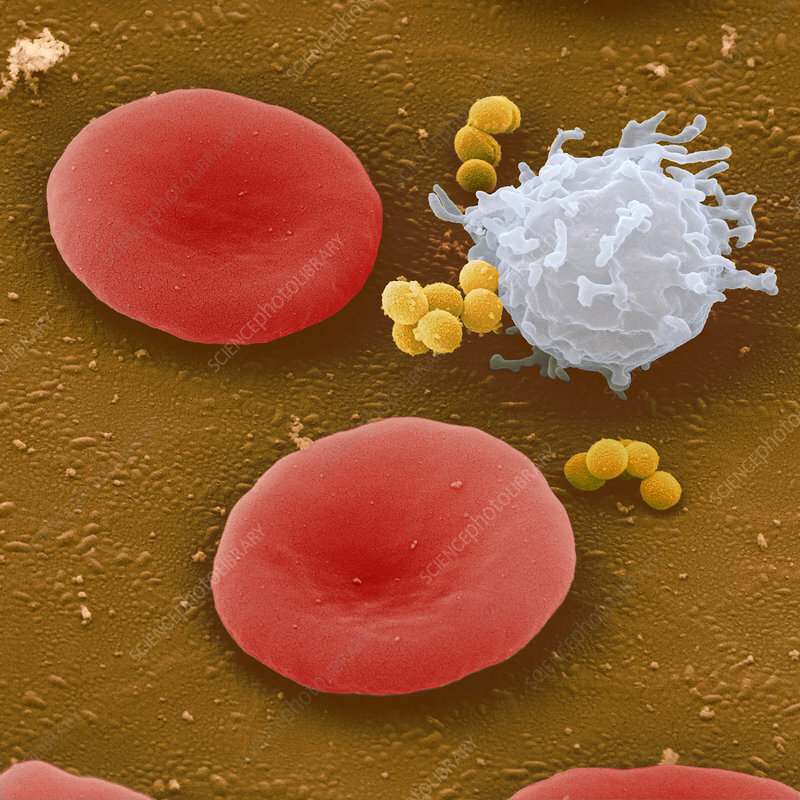 Coloured scanning electron micrograph (SEM) of Staphylococcus bacteria (yellow, round), a lymphocyte (white blood cell, upper right) and two erythrocytes (red blood cells, red). The Staphylococcus genus has 31 species, which are normally found on skin and mucous membranes. Most are harmless but some can cause food poisoning and other diseases by producing toxins or invading the body. Magnification: x7500 when printed 10cm wide.